As per Wikipedia: The tooltip is a common graphical user interface element. It is used in conjunction with a cursor, usually a mouse pointer. The user hovers the cursor over an item, without clicking it, and a small "hover box" appears with supplementary information regarding the item being hovered over. 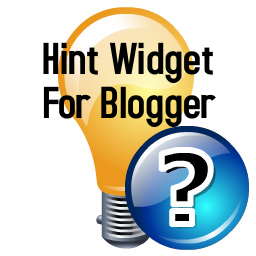 Blogger hack by Ritesh Sanap. This tooltip works with all browsers. Liked it? Just follow the instruction given below and start using it on your blog. You Have Successfully Installed the widget. How to Use this widget? In the above code, "more" is the link. When you hover over more, the tool tip appears. The text between span tags is what appears in the tool tip. Example :moretool tips text area. know more.